Don’t wait. Get screened for cancer. Five commonly diagnosed cancers — breast , cervical, colorectal, lung, and prostate — can be detected in their earliest stages. Routine cancer screenings can increase the chances of finding cancer early. 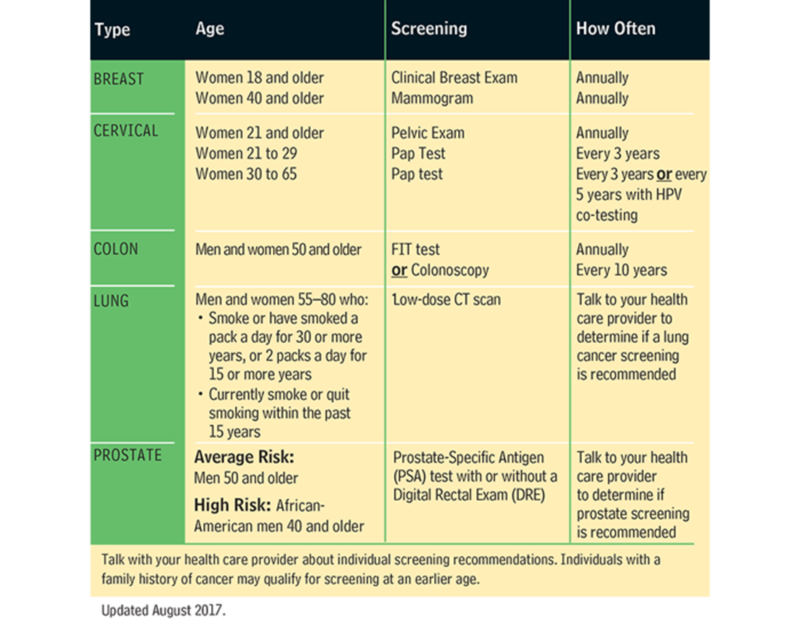 Be sure to talk with your health care provider about when and how often you should be screened. Watch survivor stories from those in our state who have been diagnosed with cancer. Each survivor has his or her own personal story, but those stories all have the same message: get screened. Talk with your health care provider. Whether or not you have insurance, a nurse navigator can schedule a cancer screening for you. If you’re uninsured or underinsured, Delaware’s Screening for Life Program makes it possible to get the screenings you need — when you need them. Find out if you’re eligible for a FREE screening. What if you find out that you have cancer? Specially trained Cancer Care Coordinators can help schedule appointments for you, guide you through the steps of treatment and provide emotional support for you and your family. If you can’t afford treatment or if you don’t have insurance, the Delaware Cancer Treatment Program offers free cancer treatment for up to two years. Please visit Healthy Delaware’s webpage, where everything you need to know to prevent, test, and treat chronic diseases is all in one place.